* … KINDNESS: Two talented musicians will make an appearance in town this week, but it is what they will do before their concert that should be noted. 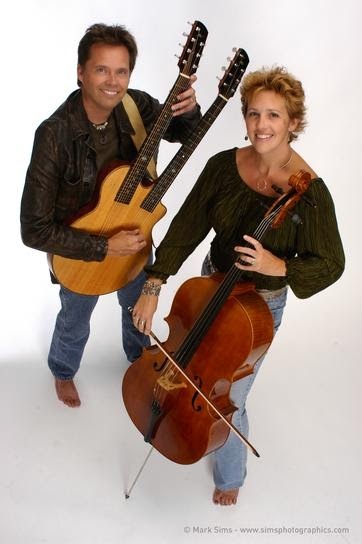 Tom Scott and wife Hannah Alkire will be playing as part of Rick Kreiser's "Guitar Masters" series (Thursday evening at the American Sound Recording Studios) but at the request of Kreiser, agreed to play for cancer patients over at Mercy Hospital. Hannah, herself a cancer survivor, told Kreiser she would be honored to play: "One of my personal goals 'if I got picked to survive' the cancer journey was to bring our music back into those oncology rooms and try to help others with their journey. Over the years we have played in numerous oncology centers, and even did a series of benefits to help one of our local oncology units be built. So, it's huge to me and to us. "As Kreiser said: "These are the kinds of things that make all the work involved in doing these shows with such high-quality folks so worthwhile." * … BOEHNER: It looks like House Speaker John Boehner slipped in and out of Bakersfield this weekend, apparently here to support Valley Republicans. Nobody has confirmed it, but Padre guests say the House Speaker was spotted in the lobby. 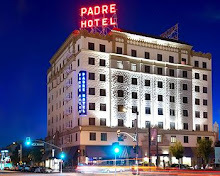 It's hard to go unnoticed when you are accompanied by a squad of Secret Service agents who surrounded The Padre Hotel at midday Saturday along with five Bakersfield police cruisers and a California Highway Patrol vehicle. * … WESTSIDE: Have you driven on the Westside Parkway recently? You won't find a bigger fan of the freeway than me, but the lack of landscaping has given it all the allure of Highway 58. If we are going to allow it go to weeds, can't we at least mow the weeds now and then? * … SPOTTED: Painted on a car on Olive Drive was this message: "Just divorced … end of an error." * … GOOD FORM: Jenny Waguespack wrote to extend contratulations to Jose Santos, a social studies teacher at St. Francis School for his work and dedication for the 2015 National History Day. "It really paid off with multiple 'outstanding performanc'" awards for the junior high students. While many schools have long participated, this was only the second year for St. Francis, and Mr. Santos serves as mentor and coach for all of the participants from our school." 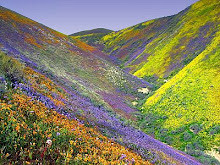 * … CLEANUP: This anonymous note appeared in my in-box: "A super BIG THANK YOU to all those involved in improving the Mt. Vernon median between Columbus and University Avenue. 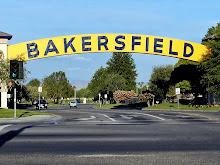 New cement, trees and bushes were added to make the drive to Bakersfield College more appealing." 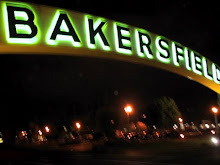 * … ACHIEVER: Peter and Karren Bloom wrote to rightfully brag a bit about their daughter, Emily Bloom, who will graduate from Bakersfield High School in May. "She has had to endure enormous tragedy these past few years," they wrote. "This has never deterred her from putting her best foot forward academically and socially. She has been accepted to Texas AM University (she was also accepted into Colorado School of Mines which offered her a Merit Scholarship), which is her No. 1 choice for college. She will be studying petroleum engineering. She has been a role model for all those around her - young and old! I would also like to give a 'shout out' to the incredible staff at Bakersfield High School. They are dedicated to turning out intelligent and productive kids every year. Sometimes, I feel, BHS gets no respect. But, you should know this: my daughter has received the best public school education Kern County has to offer. GO AGGIES!"